The Lotus Cortina is considered to be one of the great small sports cars of the 1960s. Based off the normal Ford Cortina sold in Europe, the Lotus Cortina was developed under legendary Lotus Cars founder, Colin Chapman. Built for Group 2 homologation, it included many suspension and design upgrades, as well as a Lotus-built twin-cam inline-4 engine. What resulted was a successful race car and fantastic-to-drive street car. Sadly, Ford never asked Lotus to make any sporty Cortina wagons. Worry not, because someone actually built one, and it’s up for sale (click these ). Currently up on eBay, this particular example is a 1965 model year, Mk1 variant. Everything on the car seems to be a fairly accurate portrayal of what Lotus Cars would have done if they were asked to make a Cortina wagon. The engine is a genuine twin-cam with dual Weber carbs, the chassis is lined with Cortina suspension bits, and the paint scheme is perfectly 60s Lotus. The chassis is fully restored, so there isn’t a spot of dirt or rust anywhere it, even on the underbody. The car is equipped with a Merkur 5-speed transmission and Merkur rear disc brakes, which the seller says work well with the freshly rebuilt Lotus Cortina brake booster. 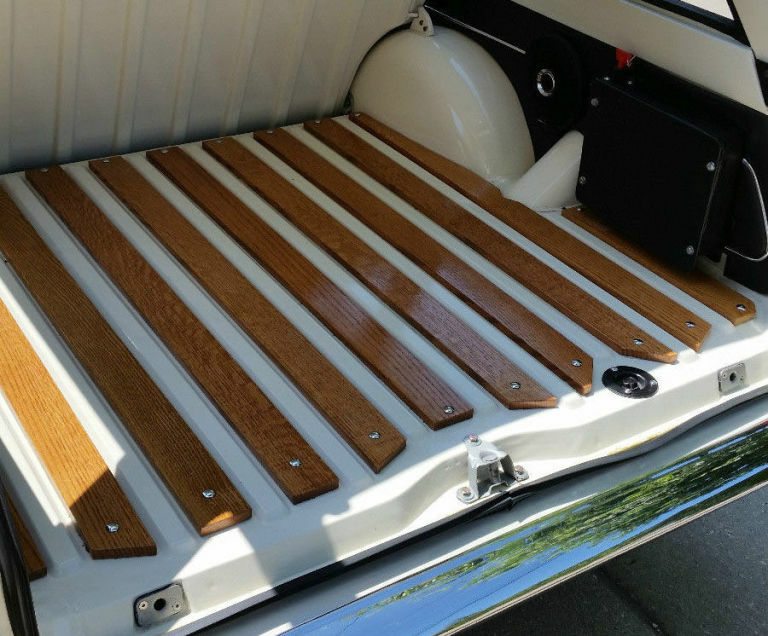 The interior is in excellent condition, and even has oak wood lined in the cargo bed. The bidding is currently siting at $25,000, but the reserve is not met. There’s a whole 5 days left to bid, however, so anything could happen. Now’s your chance to own the Lotus wagon you never knew you wanted.